A number of months ago the kids and I did a ladybug unit. 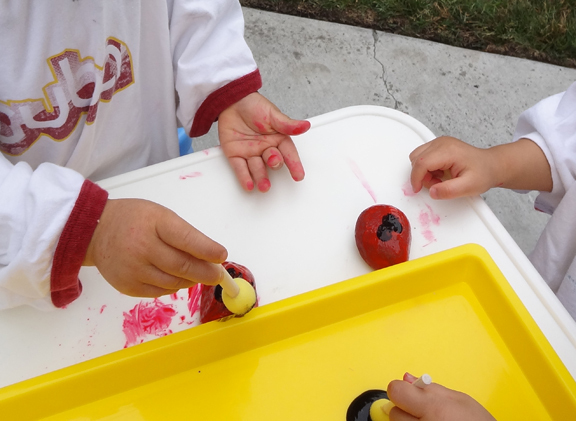 In fact, we did these ladybug activities before I had started this blog. 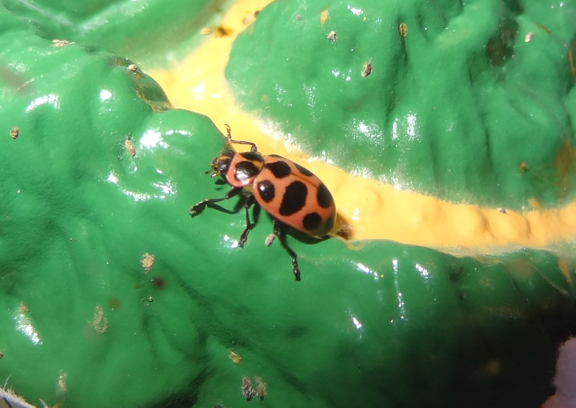 Since I have recently posted lots of insect-related activities and ideas, I thought it would be appropriate to share some of the activities we did to learn about ladybugs. 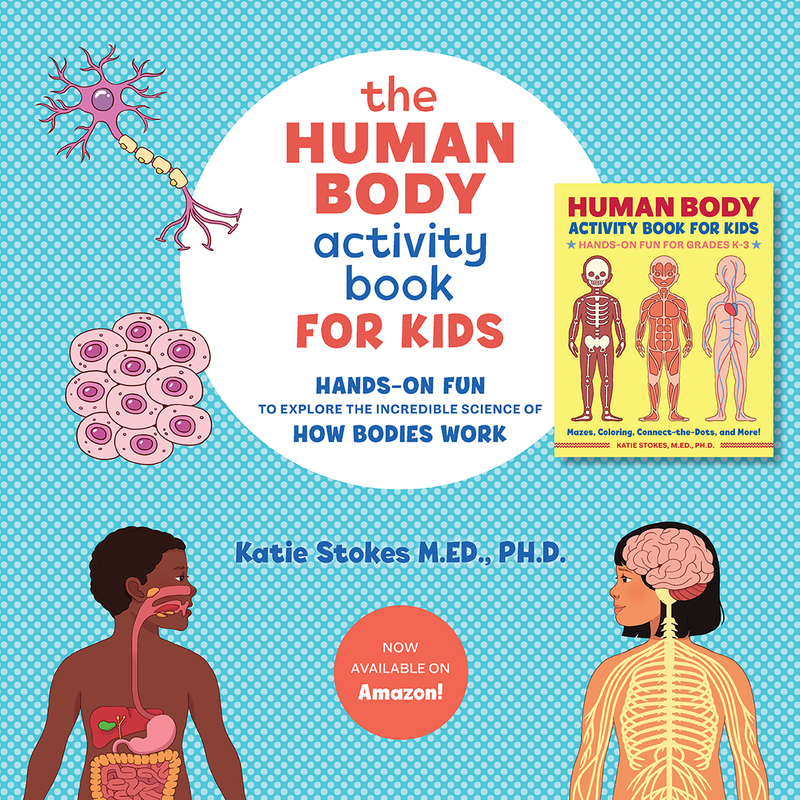 Hopefully some of these ideas will be useful for others who would like to do a ladybug unit with their kids. Note: For more insect resources, activities, and printables, please see my Insects Unit Study page. 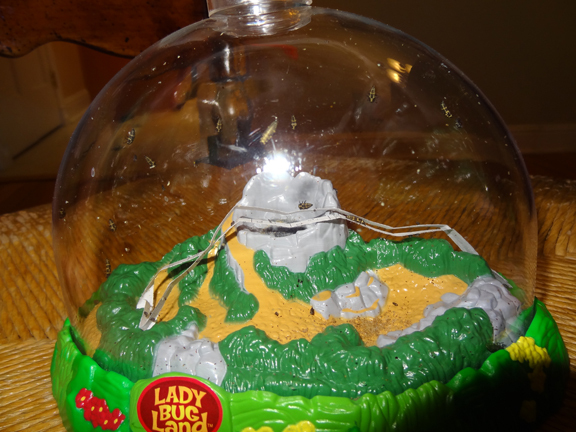 The unit started with purchasing this Insect Lore Ladybug Land . 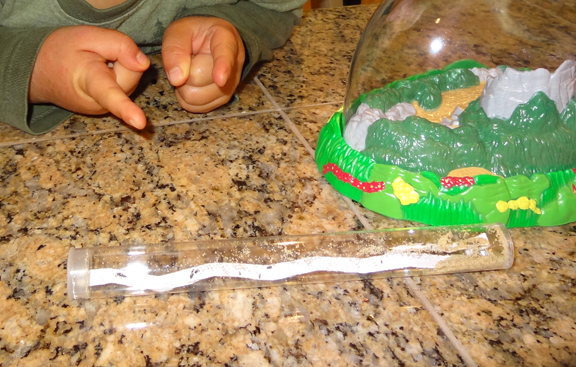 We sent away for our live ladybug larvae and were thrilled when our ladybug larvae arrived in the mail. 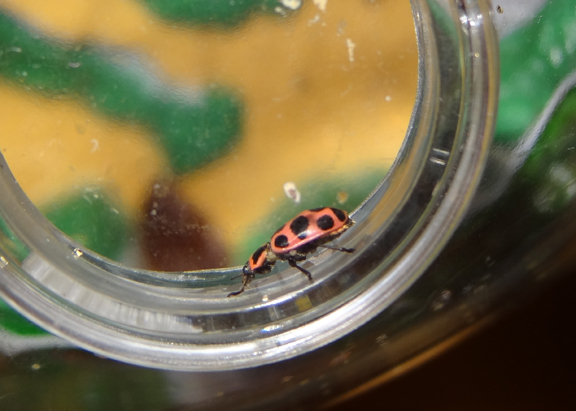 I honestly did not know anything about the ladybug life cycle at the time, so I learned along with the kids as we watched our ladybugs in their habitat. The kids helped provide water for the ladybugs using the provided pipette. And we spent over a week watching our larvae wander around the habitat getting bigger and bigger. I didn’t get any good pictures of them going into their pupa stage, but we did get to witness them hanging upside down as they turned into pupas. And of course, we got to witness them emerging from their pupas as full fledged adult ladybugs. After several days, we released the ladybugs into our backyard. In case you missed the post, this year we have raised butterflies and silkworms, which you can read about here. As part of our studies, we learned that ladybugs like to eat aphids. 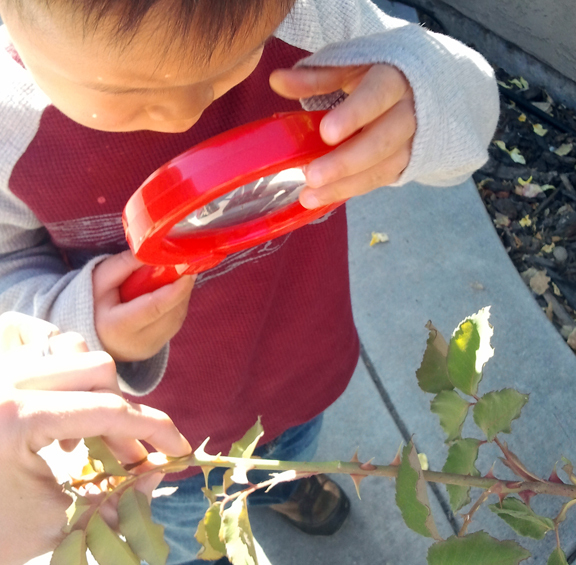 Of course, our rose bushes get plenty of aphids at some times of the year, so the kids used the magnifying glasses from their Learning Resources Early Science Explorer’s Set to search for aphids on our rose bushes. We managed to spot a few, although not as many as we have sometimes seen at other times of the year. 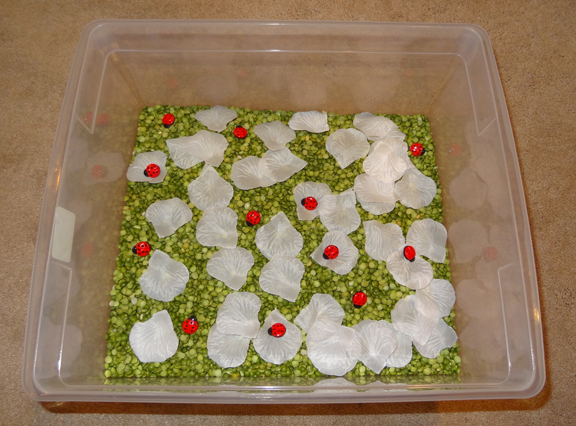 I love creating sensory bins, so of course I put together one to go along with our ladybug theme. Inside the bin I used split peas to create a lovely green base, to which I added some silk flower petals and some ladybug buttons. 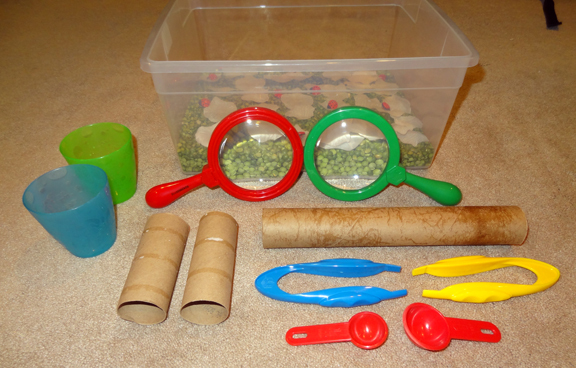 I provided the kids with some cups, tubes, measuring spoons, and some magnifying glasses and tweezers from our Learning Resources Early Science Explorer’s Set . This kept them entertained for a very long time. 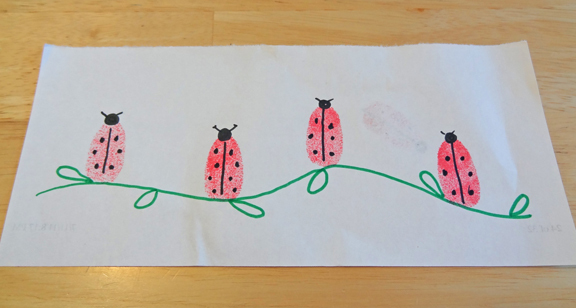 As part of our ladybug studies, we did two ladybug-themed art projects – one more successful than the other. Our successful project was this ladybug thumbprint activity. I had the kids color their thumbs with red ink and then stamp them on a piece of paper. We then drew heads and spots on their thumbs to make ladybugs. Our not-so-successful 🙂 project was one in which we painted rocks to look like ladybugs. The activity started out promising. 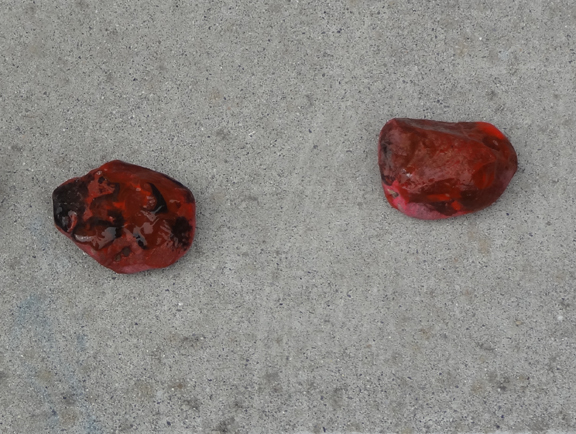 But the rocks ended up looking more like big blobs, since the colors ran together when we failed to let the red paint dry all the way before adding the black paint. Lesson learned! And that is what we did to learn about ladybugs! For more insect resources, activities, and printables, please see my Insects Unit Study page and my Insects & Bugs Unit Study Pinterest board. We are learning about ladybugs this week and I should have planned and purchased one of these Ladybug Lands. We’ve been reading so many books though and I had no idea ladybugs went through similar stages to butterflies. I love learning with my girls. We’ve been enjoying your insect printable pack by the way..so cute! Wow I didn’t know you could watch the lady bugs grow like that. Definately going to have to do this with my daughter who LOVES ladybugs. It was sooo cool! It was a great project that our WHOLE family got invested in to for a couple of weeks! Great activities! I really like your sensory bin. Thanks! 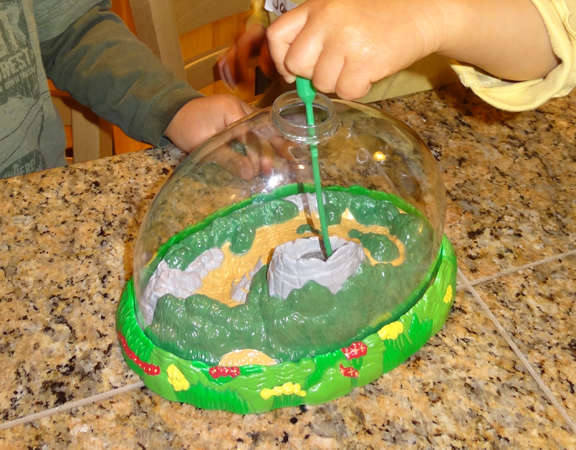 The sensory bin was simple, but my kids always play with them for a long time. We love the Grouchy Ladybug and watching ladybugs has to be the best way to learn about them. My friend did this and some ladybugs escaped and soon her house was full of them. I’m glad you were able to release them. They are so good for gardens. What fun! I love all the different types of learning in this post! Your sensory bin is wonderful. I have shared this post. Thanks for sharing our ladybug activities. What a great unit study! I love all the activities! Thanks Gina! I always have fun coming up with the ideas for the activities. 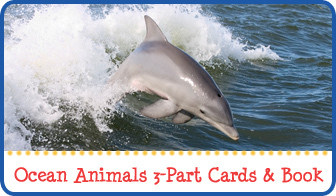 I love all the extension activities you have done for this unit, something for everyone! 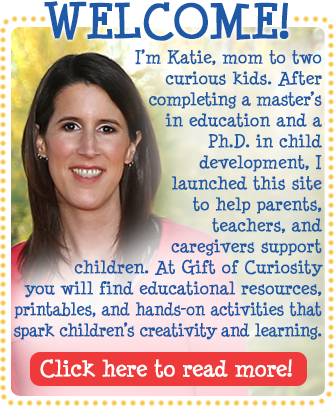 Thank you for linking up to Mom’s Library. This is a fabulous unit study!! 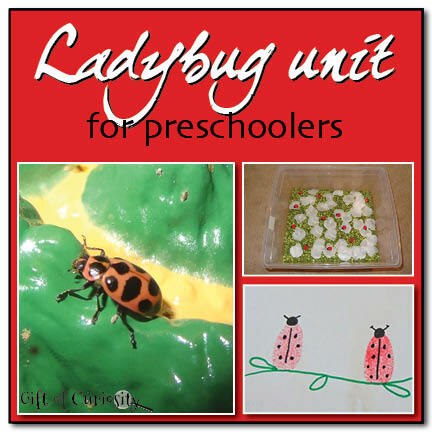 My kids love ladybugs–I think we’ll be doing at least one ladybug unit every year for quite a while! 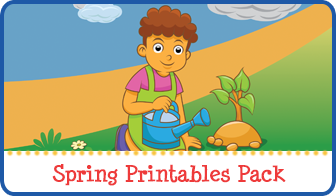 I’m so glad you linked this up at Teach Me Tuesday at Preschool Powol Packets!! Your ladybug activities are great! Very nicely done! Love the fingerprint ladybugs. Thought of doing something similar but had no washable ink pads! 🙁 Ended up using some pages from your Insect package by the way! 🙂 Thanks! How fun!! I think we may try this next year! Thank you for sharing at Sharing Saturday!! You know, I think I used those same ladybug buttons on a dress I made. I bet the dress was really cute! Thanks for linking up Monday Kid Corner Weekly Linky Party. The next party goes live tomorrow and this week’s theme is SIDEWALK CHALK. We just finished our ladybug prints. They are adorable! That’s great! 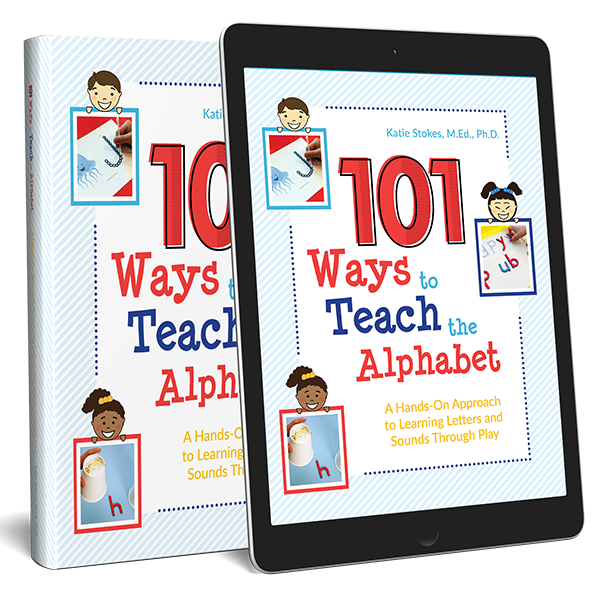 Thanks so much for sharing how you are using some of the ideas you’ve found here!